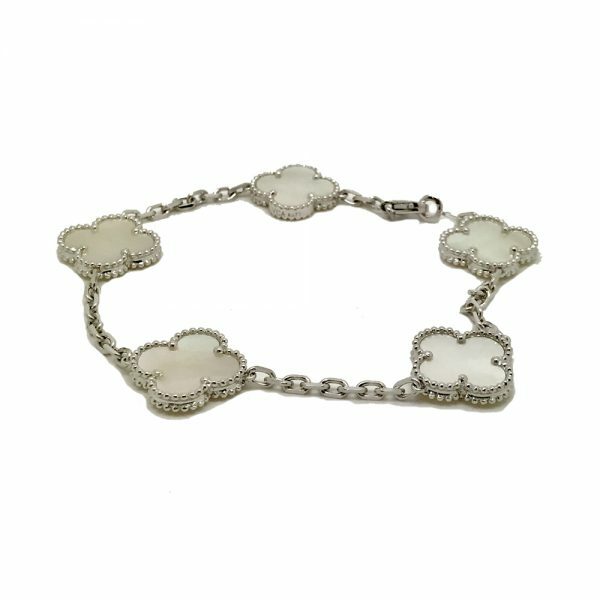 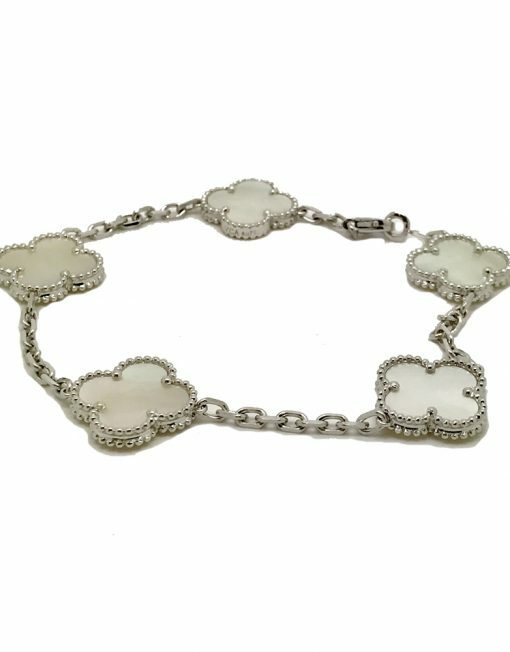 Description: Vintage Alhambra bracelet in 18k White Gold with 5 Mother-of-Pearl Motifs. 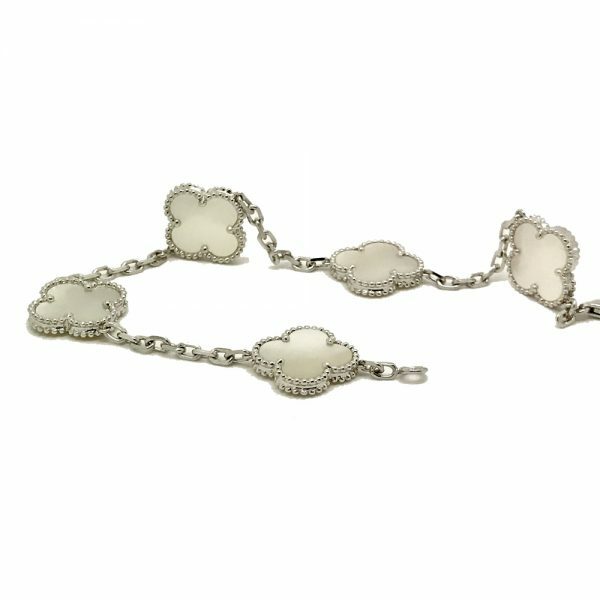 These double sided clover motifs catch the light offering a variety of different colour reflections when it does so. 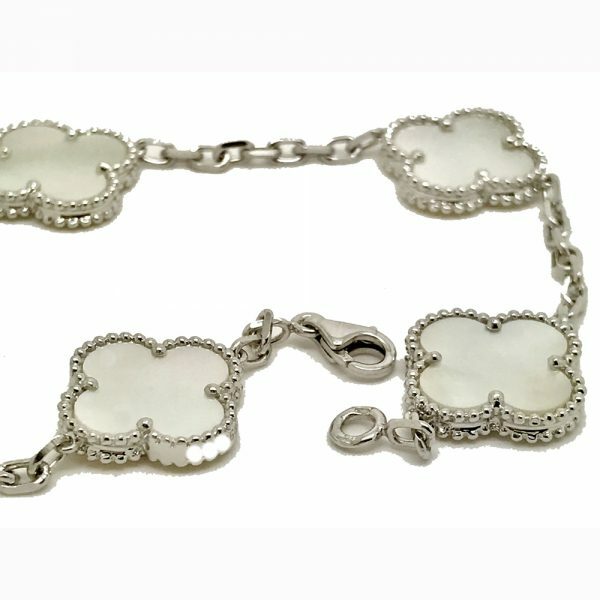 The piece is signed and serial numbered by VCA. 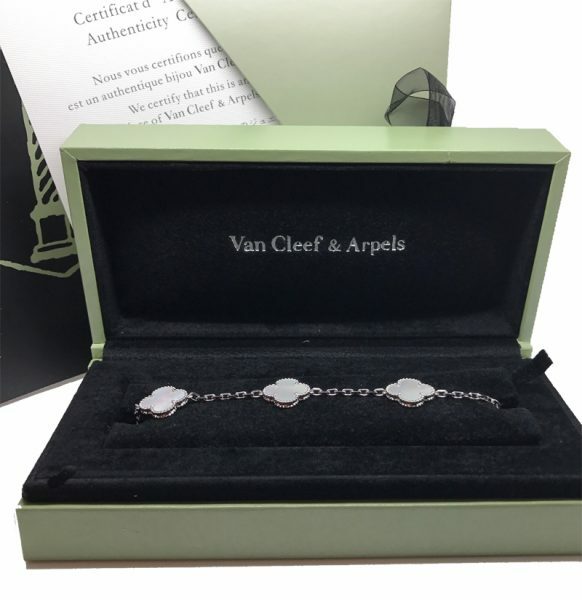 The bracelet comes in a beautiful VCA presentation box with original certificate of authenticity.